Companies conduct employee searches for a variety of reasons. Perhaps an employee is being promoted into a new internal role, or announced they’re moving on, and now that position needs to be filled. Maybe the company is growing and has created a new position. A good search firm can add value to the search because they often have a deeper and more extensive network than that of a hiring organization. Periodically, the situation requires a level of discretion best provided by a search firm. If there are organizational changes planned but not announced, or even the pending replacement of the incumbent in a position, recruitment needs to be conducted behind the scenes. Good search firms recognize the need for confidentiality, and they’re experienced at conducting a search under those guidelines. And, whether the search is confidential or out in the open, good search firms also bring expertise in the recruitment of passive candidates. Passive candidates aren’t actively looking to make a job change but can be persuaded to make a change for the right opportunity and fit. Search firms are able to effectively identify those candidates and present them with opportunities that make a change worthwhile for both sides. 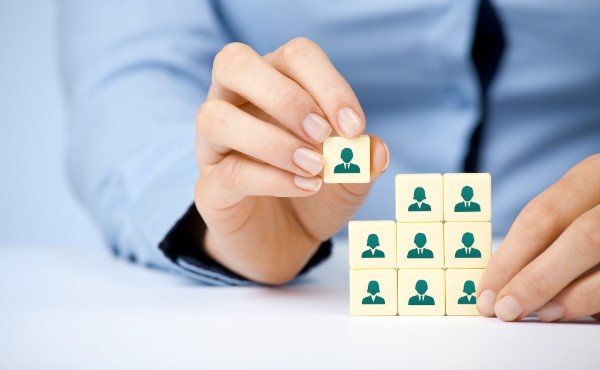 Finding the perfect talent match often comes down to connections, and, having the right connections will likely determine the success of an executive search. It is important to remember not all search firms have the same number and quality of connections. Good search firms are immersed in various networks, and in their communities, and they can draw on those connections to find the right candidate for the right job. 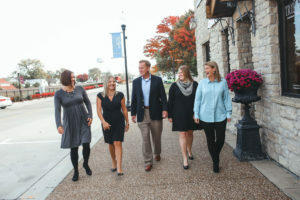 ROI Search Partners is steeped in the people leadership segment because of the searches we’ve conducted and because we’re out there in the community in a business or volunteer leadership capacity, day in and day out, making quality connections. In addition, we have a strategic partnership with BreakthroughROI where we’re involved with Executive and Leadership Coaching, and Team Effectiveness. Plus, let’s face it. The recruitment process is time consuming. With the demands and meetings that internal recruiters and company leaders face, finding the uninterrupted time, energy and effort required to perform a comprehensive search, or multiple searches, can be very difficult. Utilizing a good search firm allows companies to leverage their partner’s connections and expertise to conduct the search efficiently and in the required timeframe. Using an experienced search firm can also positively impact your employment brand and can help your company develop a strong workforce. The best search firms improve your employment brand through a transparent, highly communicative and responsive partnership. This is reflected in every touchpoint the search firm has with candidates. The manner in which ROI Search Partners conduct a search is as important, if not more important, than the search itself. We represent you; and we go to great lengths to enhance your reputation during every step of the process. We also can provide guidance when it comes to your company’s role in the community in terms of diversity and inclusion. By taking the time to thoughtfully target passive candidates and by being proactive, search firms often are able to provide a more diverse set of candidates than internal recruiters and staff. Let ROI Search Partners help you create a workforce you can be proud of. Contact us here to learn how we can help with your executive search.